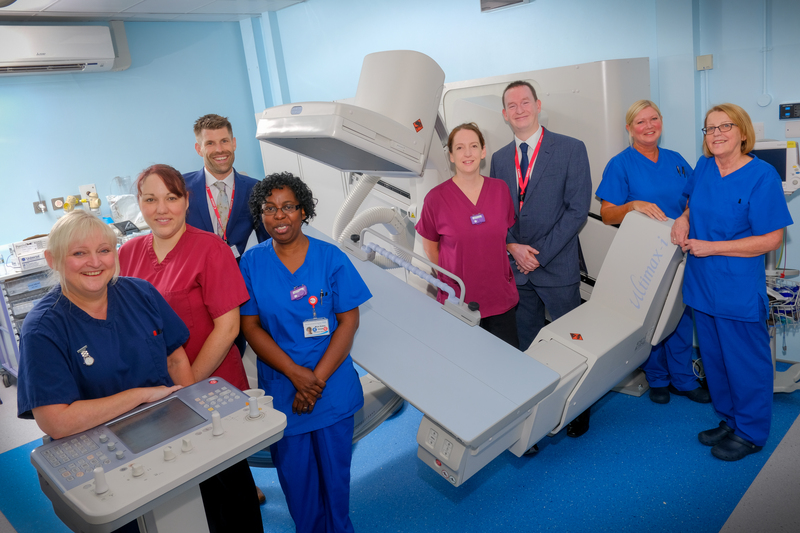 North Manchester General Hospital, part of the Pennine Acute Hospitals NHS Trust, recently replaced a twelve year old Canon image intensifier-based system, in its ERCP room, with the latest version of Canon’s Ultimax-i. The replacement is the second Ultimax-i unit to be installed at the hospital in the last two years, the acquisitions being an important investment and it is anticipated they will improve fluoroscopy services available to patients across the Pennine Acute Trust, by using the latest imaging technology. The new system enables the hospital to increase efficiency, whilst providing a higher degree of patient comfort than ever before. The Ultimax-i is flexible and versatile, capable of performing multi-purpose imaging with a large field-of-view and excellent image quality. Its innovative design, with a multi-directional interactive digital C-arm, facilitates all gastrointestinal studies, interventional radiology and angiographic procedures, with anatomical coverage from head-to-toe and shoulder-to-shoulder on even the tallest patients. Following the initial positioning of the patient, the Ultimax-i can be moved to any orientation required, without the need for additional patient movement. In addition, the system has integrated anti-collision technology to protect the patient at all times and a comprehensive dose reduction programme that ensures maximum diagnostic information at the lowest possible dose. Commenting on the installation, Helena says, “We now have two Ultimax-i systems in place and they have helped to reduce our waiting lists significantly. With one of the rooms, it has enabled us to continue with ERCP procedures as, without the room being replaced, these could not have gone ahead. We have also been able to reduce our doses significantly with our two new rooms. For the installation last year, the room was redecorated and remodelled to provide an extra door into the room for safety reasons”. Photo caption: Shown left to right, Jackie Coleman, Endoscopy; Gemma Sangster, Senior Radiographer; Colin Murray, Account Manager, Canon Medical Systems; Helena Hill, Lead Radiographer; Andrew Mayes, Clinical Applications Specialist, Canon Medical Systems, and Gillian Hill and Vivian Waller, Endoscopy.